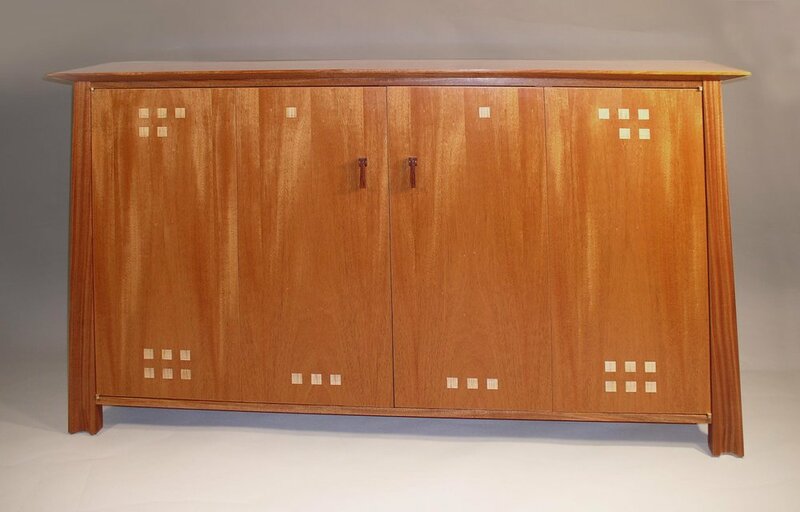 SIZE: 68" x 36.5" x 14.5"
DESCRIPTION: This cabinet is a reinterpretation of the fir Hall Cabinet in the same Mackintosh-esque vernacular. It is sized to house a 42" flat screen TV, speakers, and components. The drop pulls are handmade.